The beautiful Barockhaus in Görlitz is home to a cultural history museum and a stunning library. The building can be found on the southeast corner of the Untermarkt and was a major trade and residential home from the baroque period. I have been meaning to visit this place and finally had the chance to this week – it’s beautiful, fascinating, and absolutely worth a stop when you are in Görlitz! The house was built in 1729, after two breweries which stood in its place burned during a city fire. Brewing rights were only granted to the privileged at the time, so many wealthy & important citizens brewed beer. The new building was built according to new fire safety regulations for a rich canvas and damask trader from Zittau named Christian Ameiss. The house was built in the style of a Leipzig “Durchhaus”, a house with a central courtyard that goes all the way through from front to back. On the first floor of the museum you can see the home as it would have looked while the Ameiss family was living there, with beautiful baroque furnishings and artifacts. Especially lovely are the colored stucco ceilings. 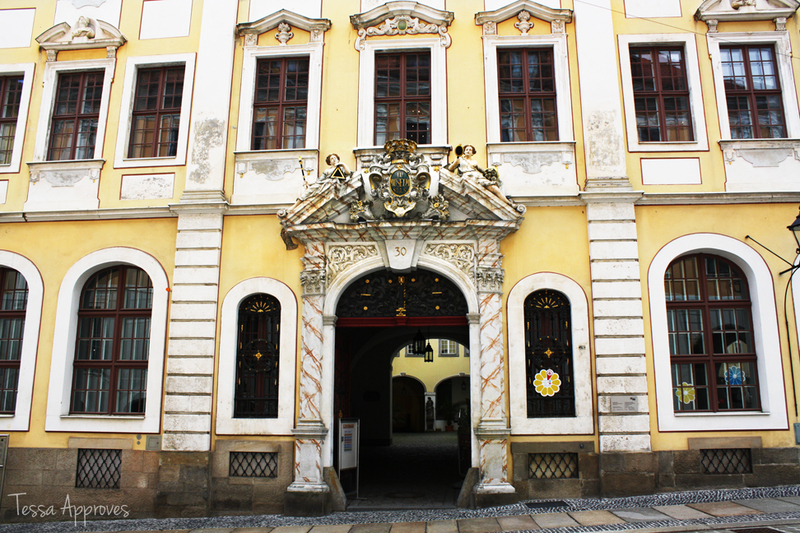 In 1779 the house was acquired by Karl Gottlob von Anton, the co-founder of the Upper Lusatian Society of Sciences. It became the seat of the society in 1804 and their library and vast collections have been preserved since then. It was also home to the Freemason’s Lodge Zur gekrönten Schlange (To the crowned serpent). On the second floor you can find a “black room” used by the Freemason’s for their initiation rites, as well as many rooms full of the collections of the society members which include antique scientific instruments, illustrations, textiles, coins and archaeological finds. The Barockhaus is also home to the most extensive library between Dresden and Wrocław and one of the most beautiful libraries that I’ve ever seen! The library has 140,000 volumes with numerous rarities and treasures, including medieval manuscripts and incunabula, which are the earliest printed books before 1501. 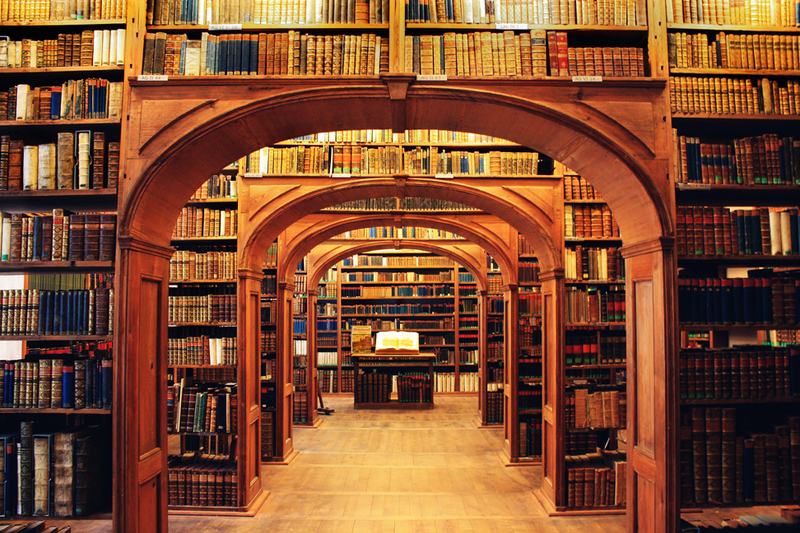 The library was established by the Upper Lusatian Society of Sciences, whose members felt that the region was lacking in great libraries. They wanted to promote learning and science in Upper Lusatia and so the members donated books from their private collections. 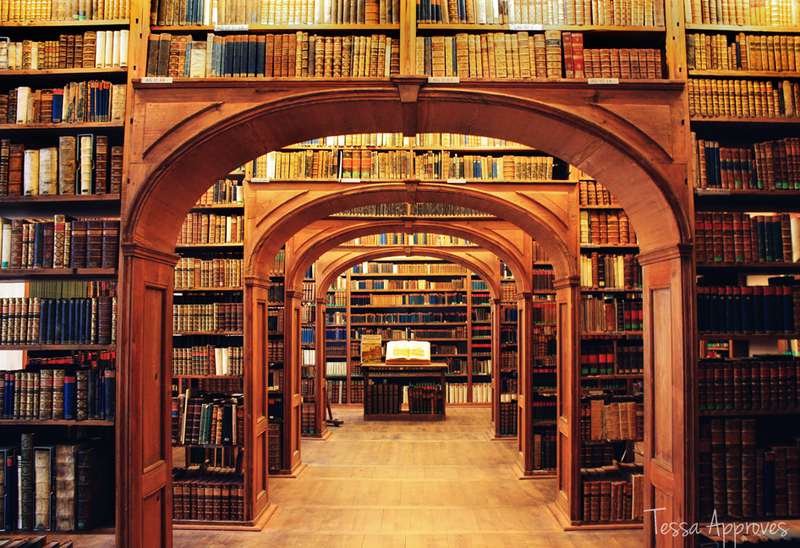 Also housed in the library is the collection of a man named Johan Gottlieb Milich, who died in 1726 without heirs and left his library to Görlitz with the stipulation that his collection be made available for public use. The oldest book in the library’s collection is a handwritten codex from the 11th century. The library also has an extensive collection of Jakob Böhme’s works, a famous mystic who lived in Görlitz. During WWII many important works were transferred to the eastern part of Görlitz, across the Neiße River, for protection from air raids. After the war ended, this area that was once Germany became Poland and the books were not returned to the library. You can now find many of these important works in Wrocław. In 1945 the Upper Lusatian Society of Sciences was dissolved by the Soviets. 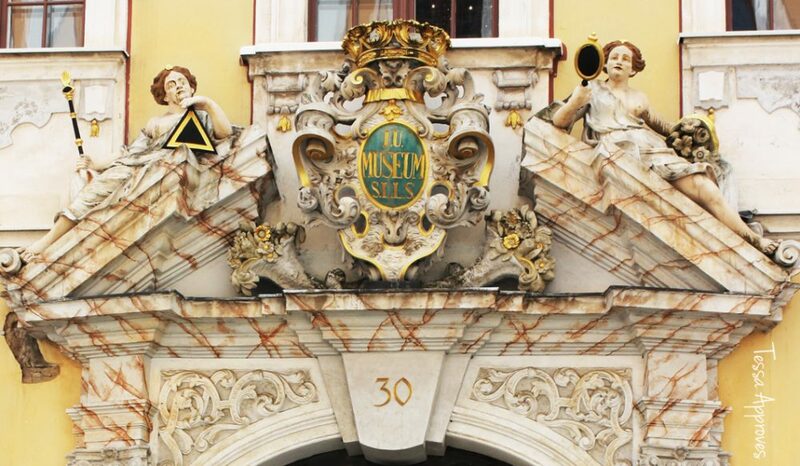 Since 1950 the house and its collections have been the property of the city of Görlitz. The unique and beautiful large book hall was arranged with beech shelves in the middle of the room, instead of along the walls. This was meant to emulate the look of a stage. 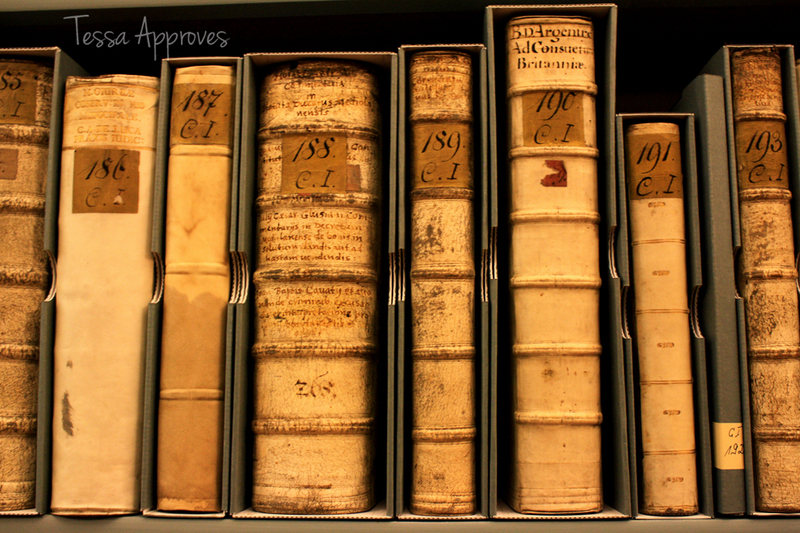 The only adornment in the room are the lovely old books, which are the stars of the show. Today the hall, characterized by its simplicity, is one of the most beautiful library spaces in the world! This museum and especially the beautiful library are not to be missed! The museum in the Barockhaus is also English-friendly with most of the descriptions translated. The museum is open Tuesday – Sunday and admission is €5. Currently there is a guided tour of the library every Monday at 11am. Find out more on their website.